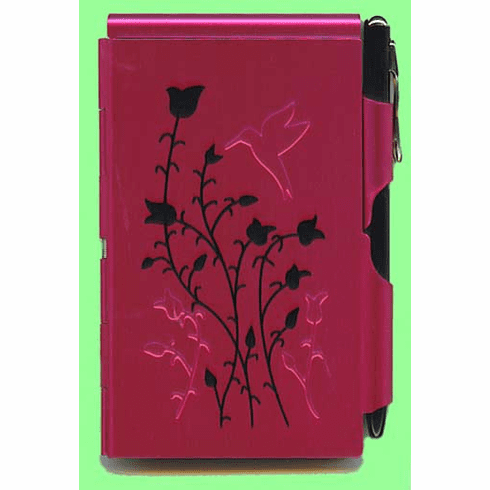 Raspberry Hummingbird Flip Notes - A great way to take notes and enjoy a hummingbird motif on your note pad. Spring loaded metal case, just slide the pen out and the lid pops open for quick and easy note taking, perfect for your purse or backpack. Measures 4-1/4" x 3", 50 sheets of paper and one pen.